Compact and stylish, this multifunctional printer can copy, scan and fax multiple page documents with the 20-Sheet ADF*. With high productivity and seamless wireless connectivity, it's a perfect fit for any home office. Wi-Fi connectivity and the Canon PRINT app give you control of your printer functions from your smart devices. If you're away from Wi-Fi, just switch to Wireless Direct. 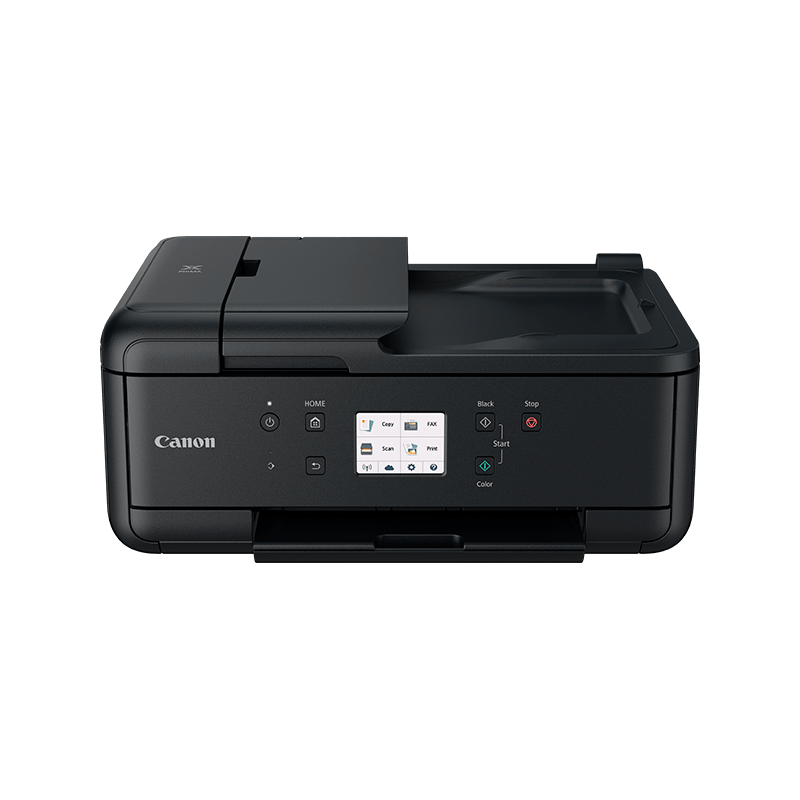 Simplify scanning* and printing to and from cloud storage with PIXMA Cloud Link via the Canon PRINT app. *Scanning straight to cloud and scanning to email are only available for users of genuine Canon ink. Keep down costs and retain print quality with genuine Canon XL ink, which can save up to 30% on cost per page versus standard Canon cartridges.